According to me he has done his life’s best work as an actor in Zindagi na Milegi Dubara and Bhaag Milkha Bhaag.As Director I like his movies Dil Chahata Hai and Lakshaya. Farhan is very sensible actor. He chooses his movies very calmly and thoughtfully. 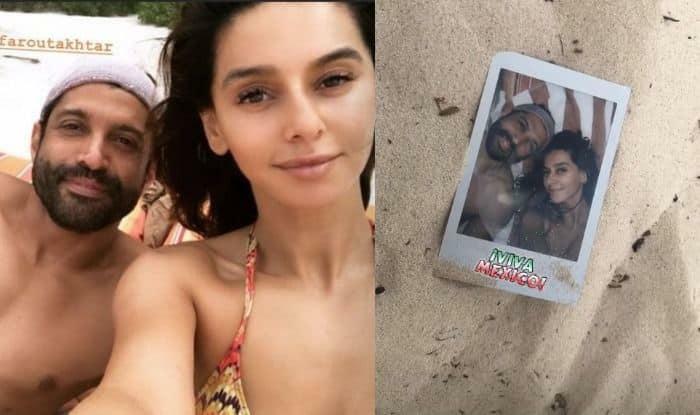 Shibani looks hot in an off-shoulder bikini while Farhan is seen holding his lady love. These pictures are stated to be taken from the couple’s Mexico holiday. In January, Farhan had celebrated his 45th birthday with Shibani. In these pictures, the duo has set the beach on fire. These pictures are definitely clicked without the couple’s consent but we must say that they are busy showering love to each other.